If you have been following my blog for a while, you know that my son has eleven teachers that he is is in contact with weekly. 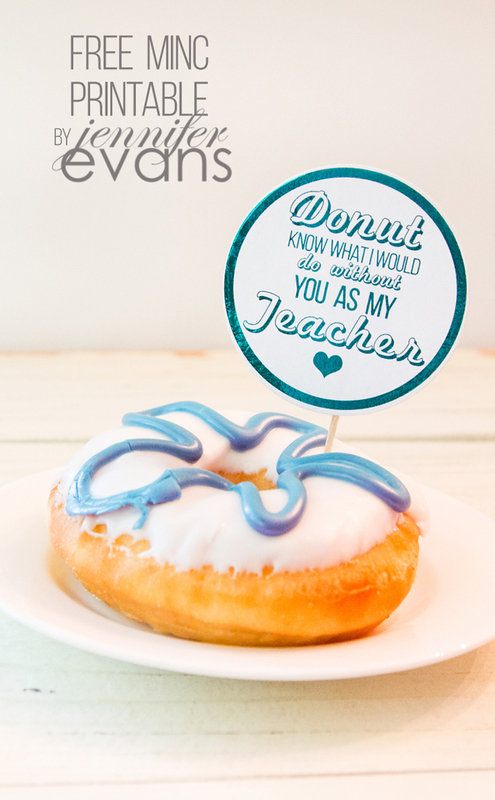 I am always looking for ways to show them how much I appreciate them on holidays, even fun ones like National Donut Day! This gift idea won't break the bank - that is if you can keep from eating them yourself! Pull out your Heidi Swapp Minc. 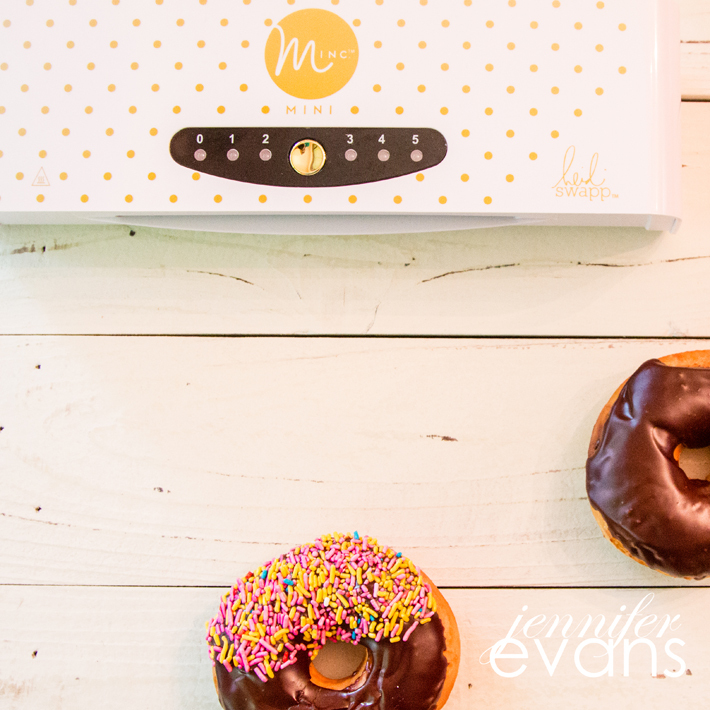 I am using the Mini Minc that is due to arrive in stores next month. It is half the size of the 12" one and sits perfectly on my craft table. 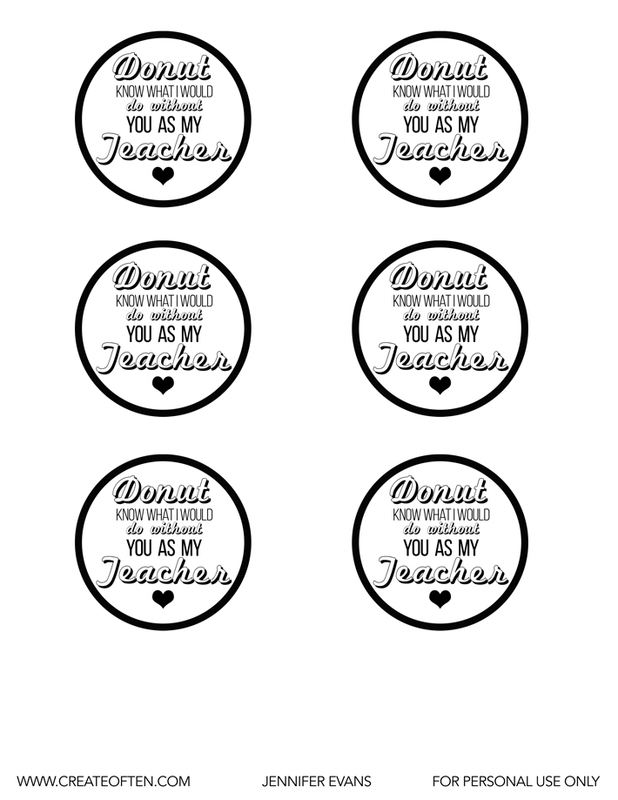 Print out this free printable with a laser printer on to smooth cardstock or scrapbooking paper. Then, run it through the Minc with your choice of Minc Reactive Foil according to the directions. You can see how to use the Minc in this video here. I cut the circles out using the We R Memory Keepers Circle Nesting Dies with my Evolution Advance. You could also just use a pair of scissors! 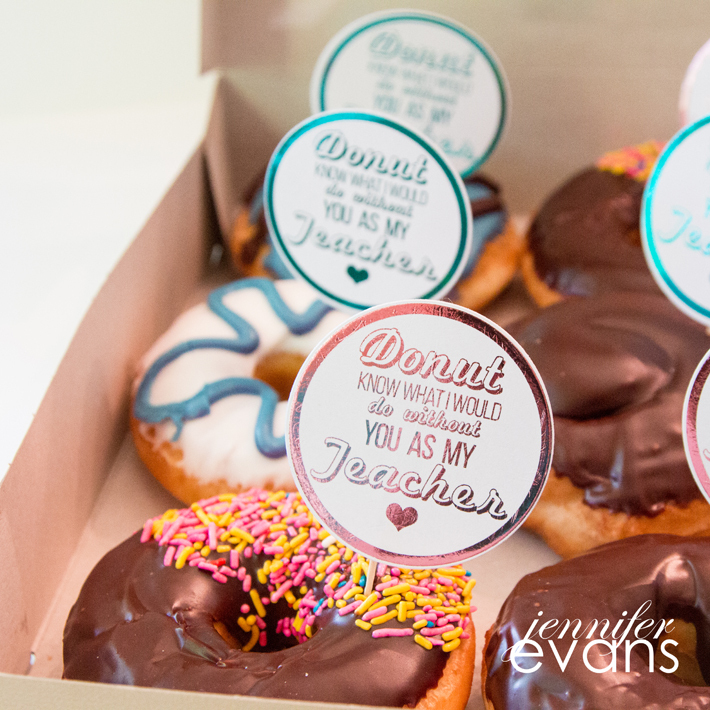 Now go and make your teacher's day!